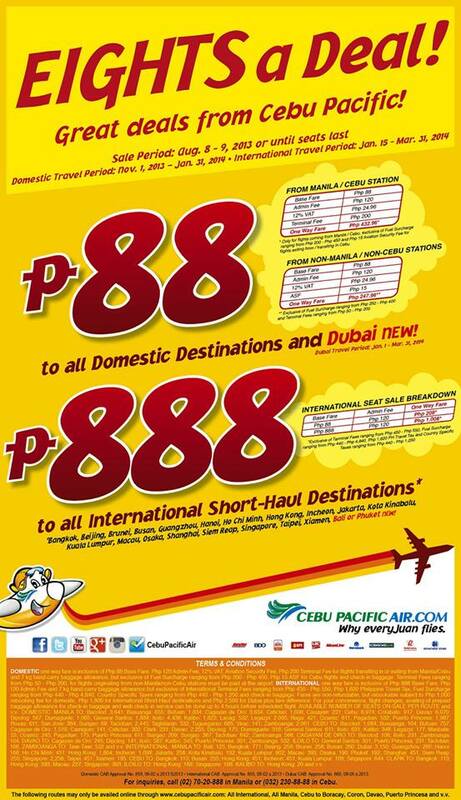 Cebu Pacific Promo: EIGHTS A Deal! P88 for all DOMESTIC flights and DUBAI! Get Gr8 deals from Cebu Pacific in our latest ‪#‎CEBseatsale‬, starting NOW! Log on to http://www.cebupacificair.com/ to book your next flight. See you on-board soon! Panu po pag avail ng promo?